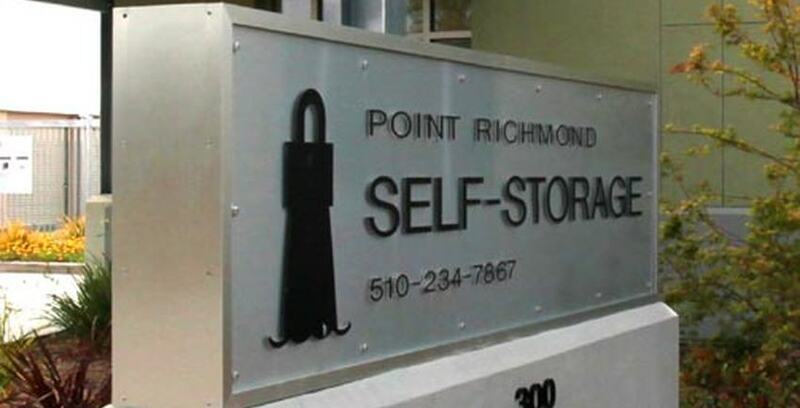 Point Richmond Self Storage is a locally-owned self-storage facility proudly providing quality storage solutions for Richmond and surrounding areas. Point Richmond Self Storage is your clean, green safe and secure affordable storage solution. Powered by the sun, we have ground-level storage units accessible via drive-up or well-lit secure interior hallways. We can’t wait to meet you and help you find the right storage unit! We take pride in our easy-going friendly management style and know many of our self storage customers by name. Not only are we a relationship-based business, we also offer the best storage deals in town. Our affordable self storage allows our customers to keep their secure storage units long-term, to de-clutter their home, store extra inventory for their small business, or to make room in their garage for their car! All of our storage units are offered at low-cost month-to-month rentals, regardless of what you’re storing – RV, boat, car or just personal belongings. Our clean green affordable and secure self-storage facility is conveniently located at 300 West Ohio Avenue off or Richmond Parkway visible from Highway 580 near the Richmond-San Rafael Bridge in Point Richmond and just minutes from San Pablo, Albany, El Cerrito, El Sobrante, Berkeley and the Marin County cities of San Rafael, Corte Madera, Larkspur, Mill Valley, Tiburon and Greenbrae! If you live or work in Marin County or cities adjacent to Richmond and you’re seeking a secure and affordable place to store your household items, business inventory, files, or even a vehicle, your best option in the area is Point Richmond Self Storage. Our property is located just minutes away and features a wealth of storage features at great prices. We’re perfect for anyone in the middle of a move or life-event that requires extra space, and we’d love to be your short-term or long-term storage solution. Contact us today and we’ll help you reserve the perfect space for your needs! We’re operated by Cubix Asset Management, a proud member of the California Self Storage Association. We support local charities such as “College Is Real” www.collegeisreal.org through Charity Storage and partner with StorageFront.com to help our Northern California neighbors find clean, secure self storage at the lowest price. Our team has a combined experience in self-storage and commercial real-estate of over 75 years and we are happy to offer our assistance. The bottom line is that we love Point Richmond, Richmond, Contra Costa County, Marin County, the San Francisco Bay Area, Northern California and self-storage.